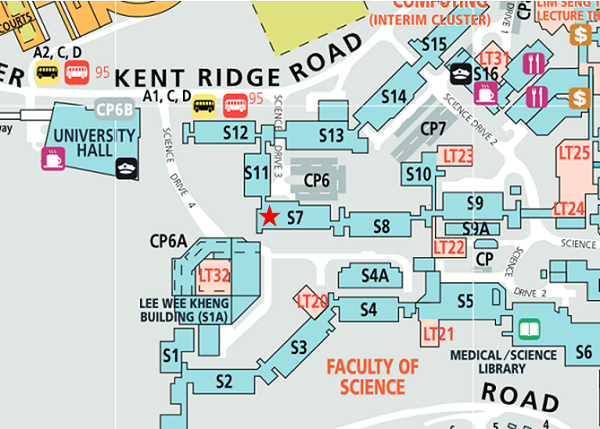 We are conveniently located in Block S7 of the Science Faculty along level 3 corridor. By MRT: From Changi Airport, take MRT train from Changi Airport station (East-West line) to Buona Vista MRT station. Transfer to the Circle Line to Kent Ridge MRT and alight there. Head to the closest bus stop that is connected via shelters. 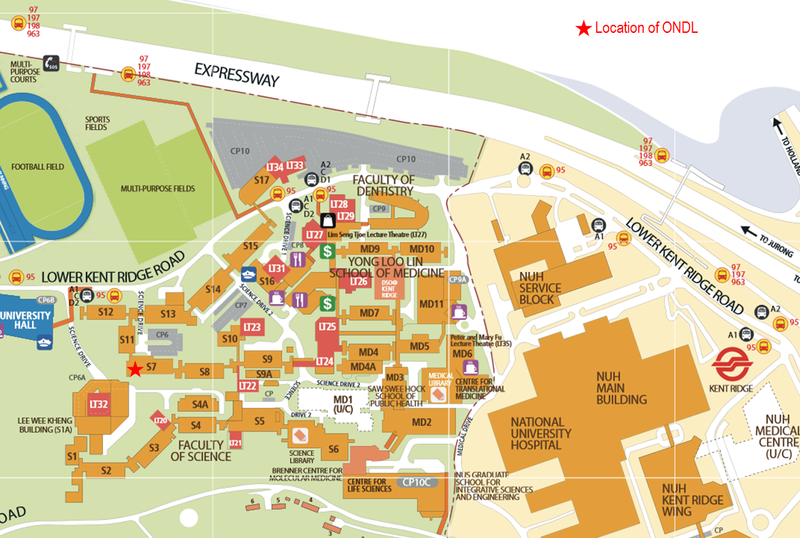 Take any shuttle bus (A1 or D2) and alight on the 3rd stop (U Hall busstop, which should be along a slope right after the Science stop). Follow the road, turning left at a T junction into Science Drive 4, towards a multi-storey carpark and you should see the S7 building on your left. Upon entering the building, you should see a corridor with glass doors, and a sign labelled Organic Nano Device Lab (ONDL) above the glass door. Singapore is a multiracial global city state with first-world amenities and living conditions. It enjoys all year round tropical climate with temperatures of 22-30ºC with nearly constant 12 hours of daily sunshine. Founded in 1819 as a key British trading port and colony, it has now an internationally recognised education, business, financial and transportation hub in Asia with more than 30 airlines operating out of the ultra modern Changi Airport. In the transformation to knowledge-based economy, Singapore has invested extensively in R&D, and attracted top world-class scientists to the Universities and Research Institutes here to do cutting-edge research, and emphasised strongly high-tech enterprises to generate new businesses.